Melinda brought in a lovely skirt and top from India that she wanted to wear at her wedding, however the pieces didn’t fit very well and the fabric was very delicate. 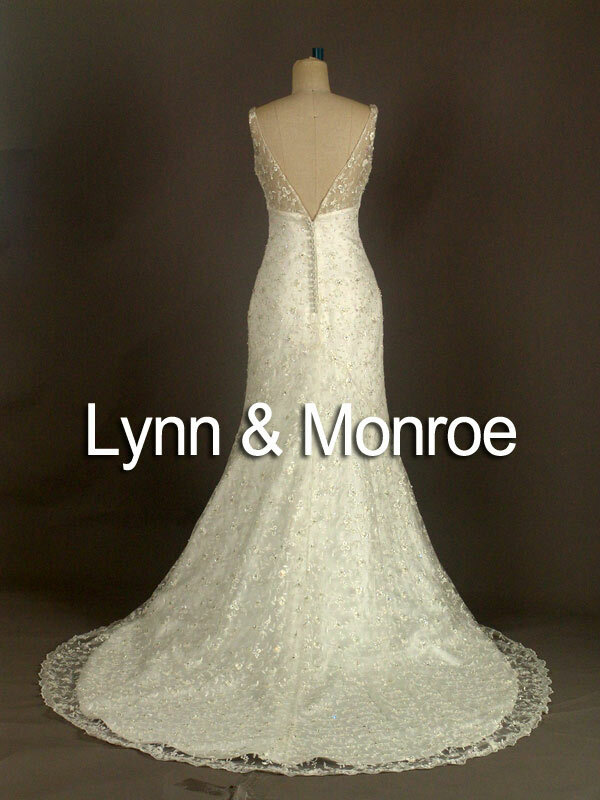 We decided to create a custom gown using the beadwork from the originals. 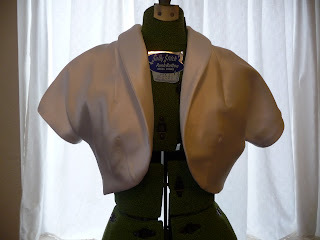 I appliqued the trim to the neckline and skirt bottom and we used the original shawl to create a shear drape over the skirt! 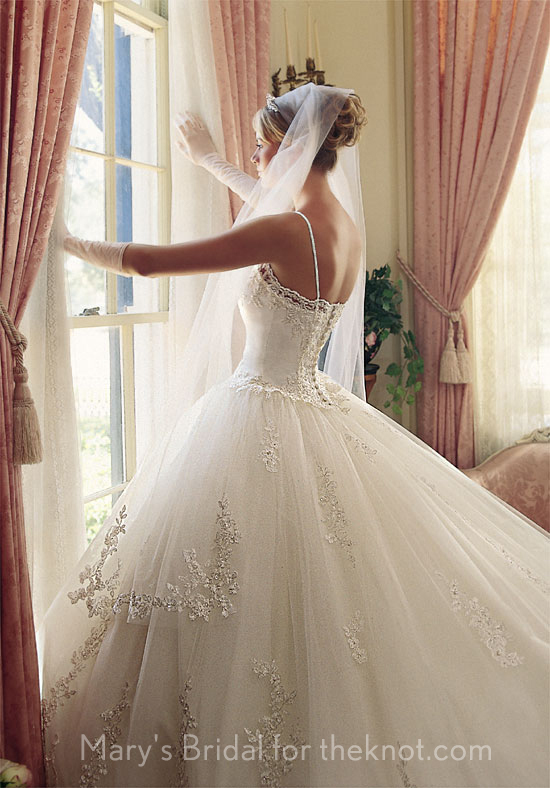 What a one-of-a-kind wedding gown! Melinda was so much fun! 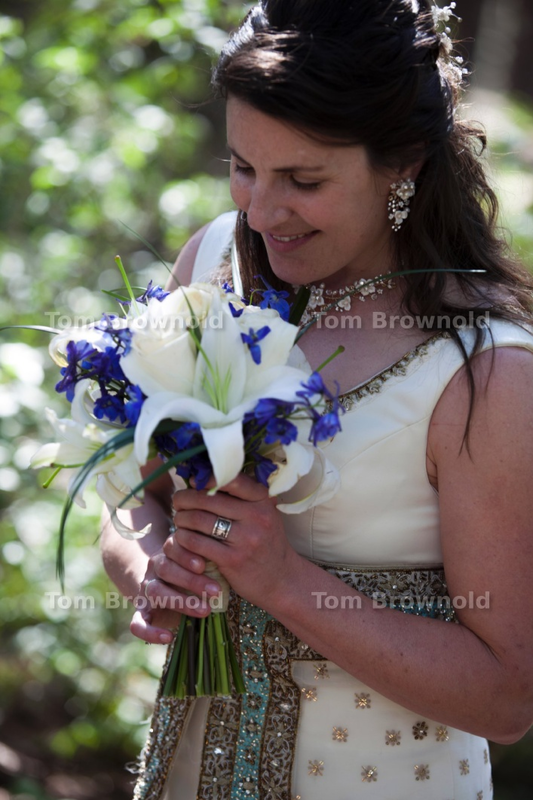 We really had a fabulous time creating her amazing wedding dress! Last winter Sasha commissioned me for an unusual project. She wanted to create her wedding dress using the fabric from some vintage lace curtains that hung in her mother’s childhood bedroom! 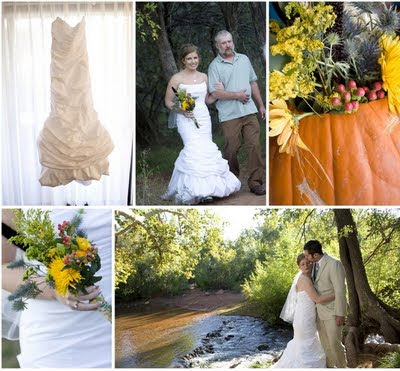 She also wanted to use natural fibers in the other parts of the dress. I sourced some vintage silk haibotai for the lining and we used a hemp/silk blend for the fabric behind the lace. 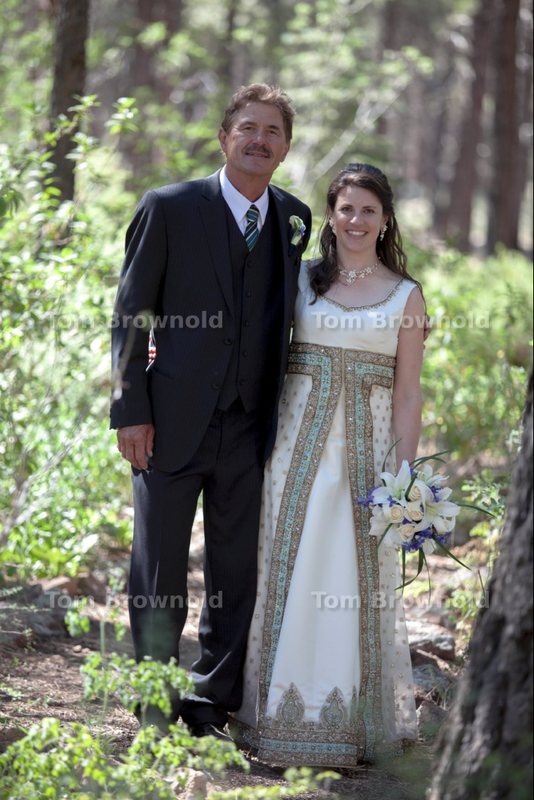 The top fabric was beautiful silk chiffon to lend a light floating quality to the dress. I couldn’t be happier with the result! So beautiful! 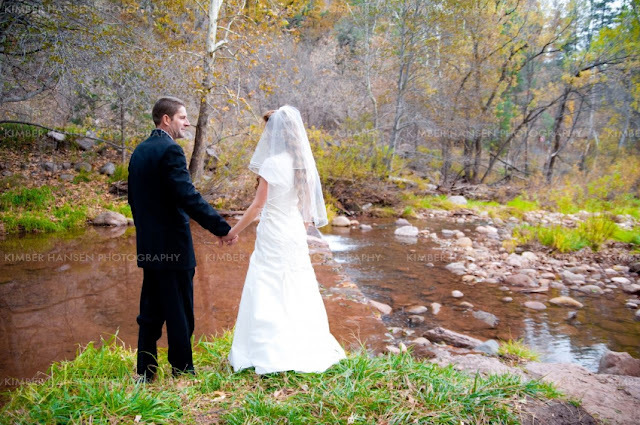 Photos by Michelle Koechle Photography. Thank you, Sasha! 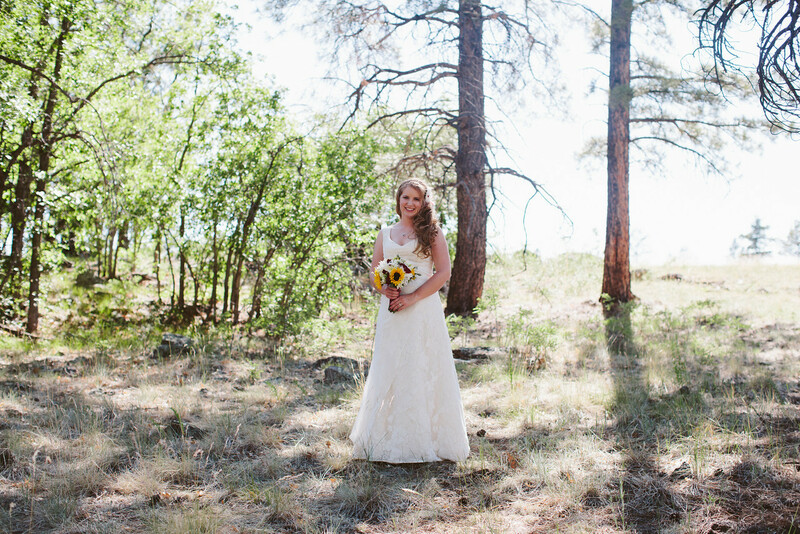 It was so much fun creating your dream dress! I am really excited to make this custom dress! It will be so elegant and whimsical. You may recognize the inspiration from several Rivini designs, but I am making this from scratch! 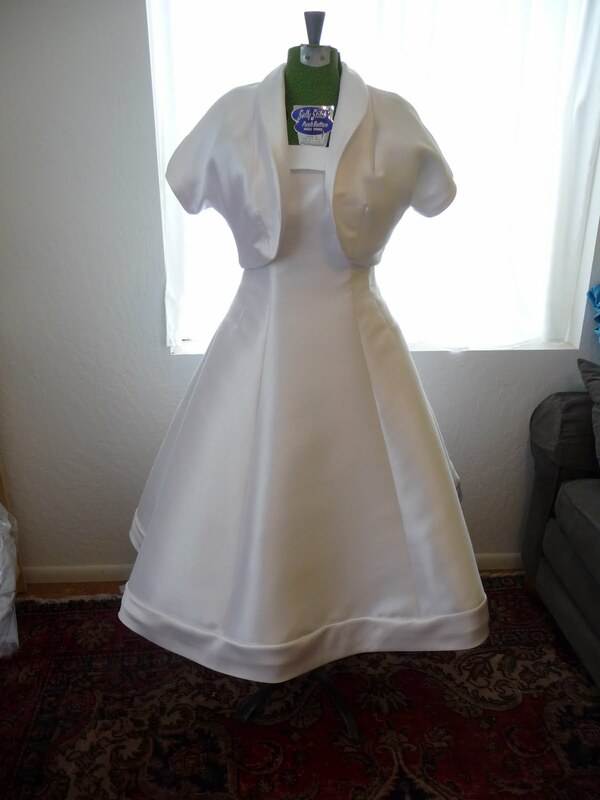 I just finished this cute little custom wedding dress! The bride wanted a short strapless dress made from cotton sateen that she can wear again in the future. Oh and she wanted pockets, that was a priority! 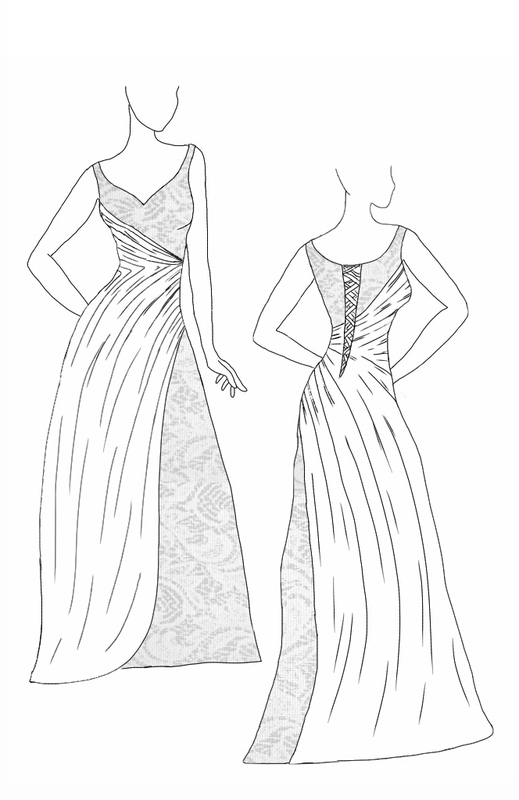 I started with a Cynthia Steffe Design for Vogue Patterns as the base. I liked the vintage feel of the pattern (and it has pockets!) and the dress features a sweetheart neckline and fun pleats in the skirt. After fitting the muslin and the basic dress pattern, I added ruching to the bust and a ruched waistband. 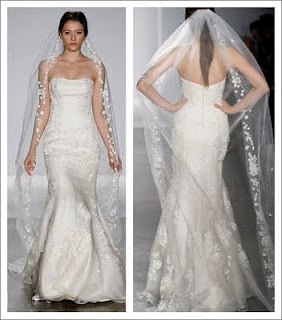 I love the verticle ruching on the back above the waistband! The dress features a built-in corset and waiststay for the ultimate comfort in a strapless dress! No slipping or tugging! Also check out the cute peekaboo lace along the bodice and at the bottom of the skirt! I am finally catching up on my June work, so look for more fun posts coming up! Last fall I had a lovely bride, Rebecca, ask me to add sleeves to her strapless dress. 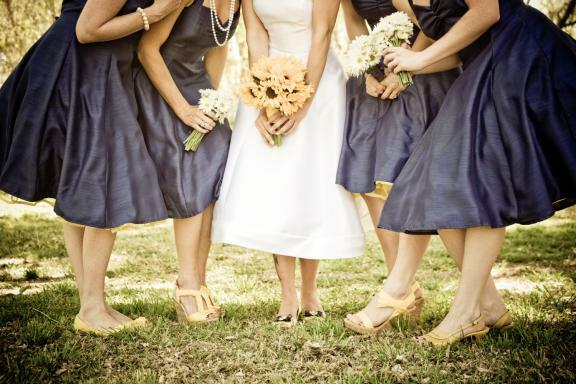 There are so many strapless dresses on the market but this style doesn’t suit everyone! 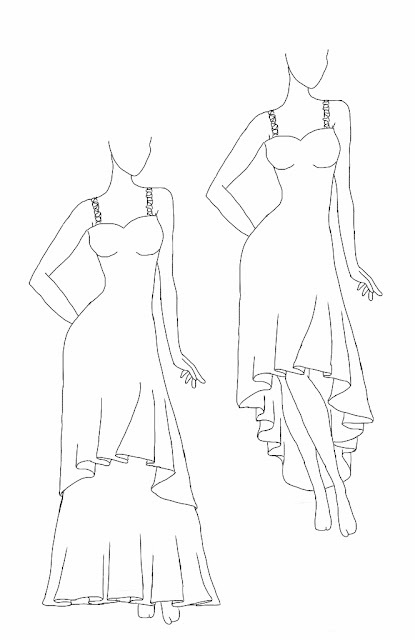 Adding sleeves or straps is a nice way to customize a strapless dress. Then you can have the dress of your dreams without compromising on comfort or modesty! 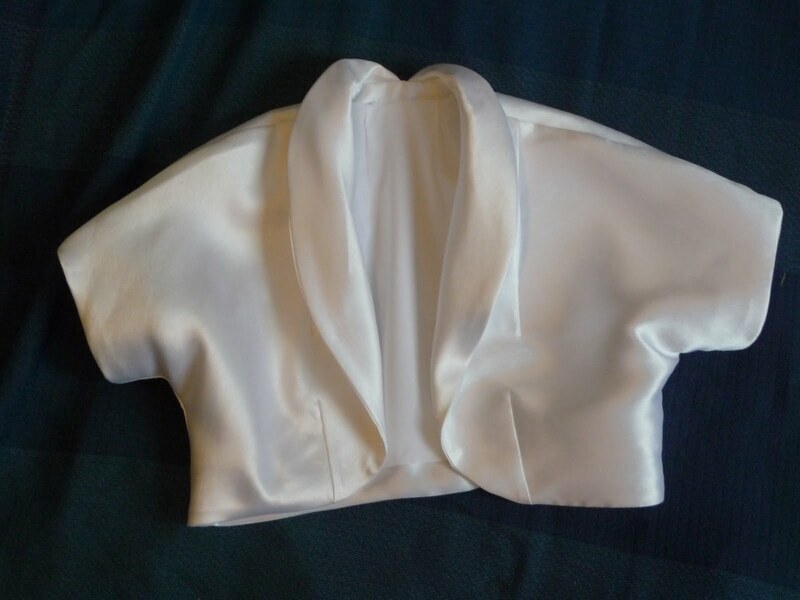 Rebecca’s dress came with a little bolero jacket so it was fairly simple to add sleeves to her dress. However there are lots of ways to add sleeves or straps, even if your dress doesn’t come with a jacket! Additional lace, taffeta, or satin fabric can be purchased to match the dress. Don’t limit your options! Thanks for sharing, Rebecca! I love seeing photos of my work in action! The year is starting out great and I am working on several really fun custom dresses! 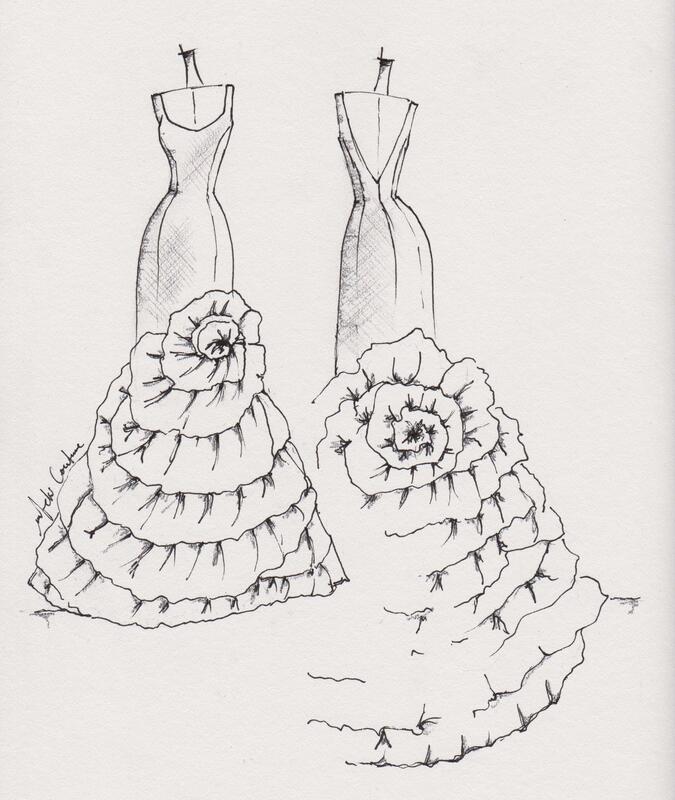 Below are the drawings for two different dresses I will be designing and making over the next few months! Here is the front for the first dress. 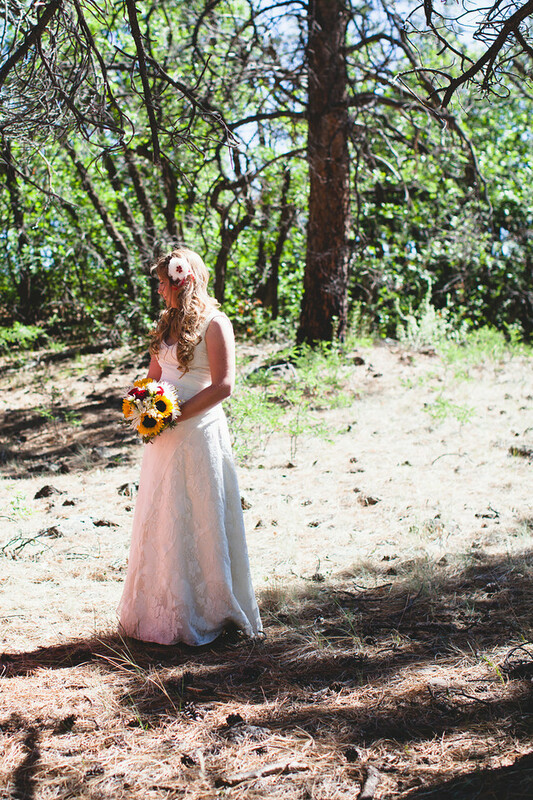 Originally the bride wanted a cocktail length dress in lace to reflect her fun casual take on life. But after thinking about her wedding a little more, she decided she wanted a long dress for the “wow” factor during the ceremony. We came up with a removable satin underskirt that will provide the elegance she wants during the ceremony but that can be taken off for the reception so she can dance and have fun! 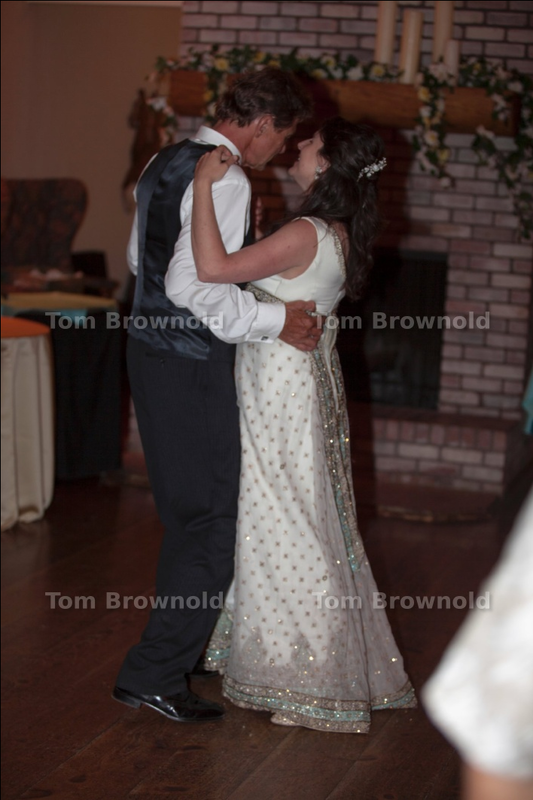 I designed my own wedding dress in a similar way so I could remove the train and dance! This dress will also be a real treat to work on! 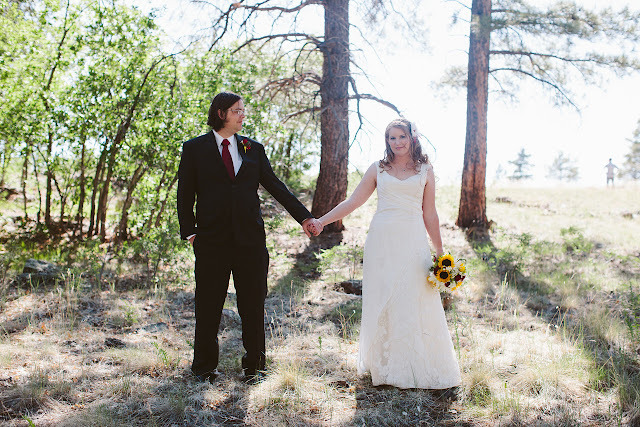 This bride has some lace from a family heirloom that she wants to incorporate into the dress. She is also looking for a floating/airy ethereal feeling. This dress will have a sheer silk chiffon overlay on top of the lace to soften the lines of the dress. 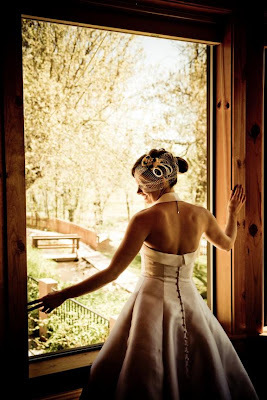 We are having fun sourcing eco-friendly fabrics like peace silks, vintage silks, and recycled tulle to make this dress! 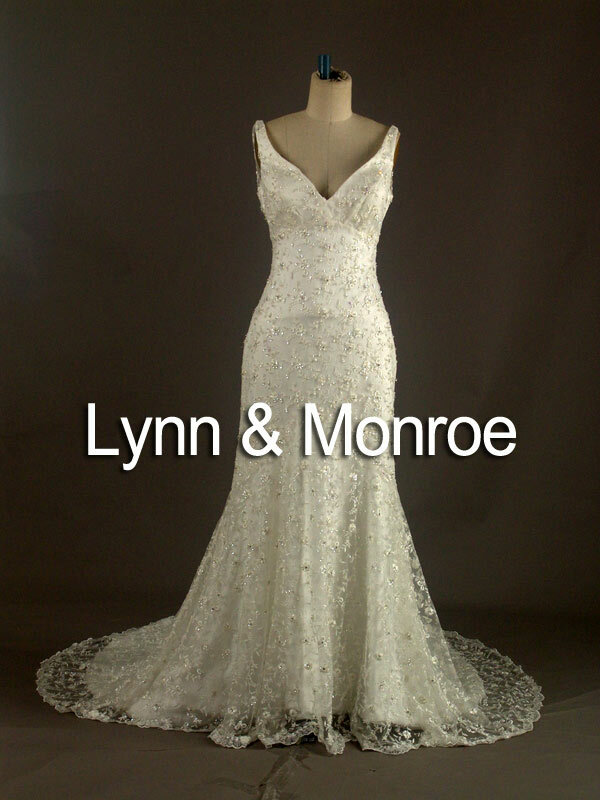 What does your dream dress look like? Anne’s Alterations featured on K.I.S.S. 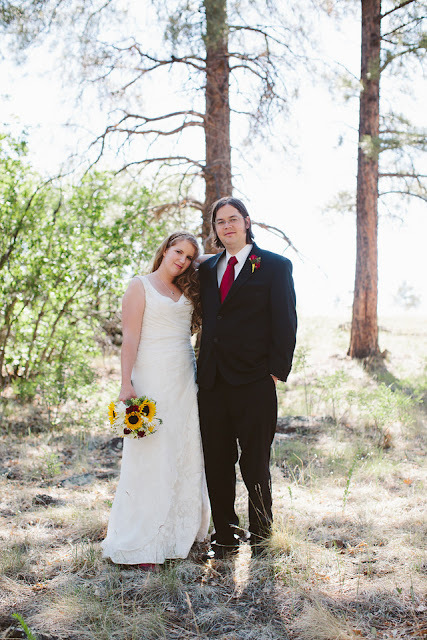 Wedding Blog! Well, I am just getting some great publicity by the always excellent Melissa Dunstan Photography! 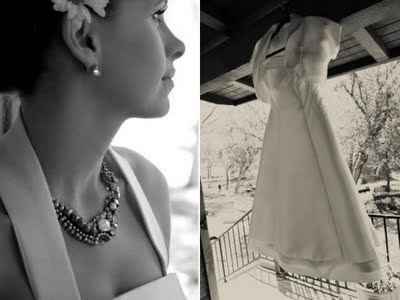 Check out this fun blog posting featuring a dress I redesigned a few years ago. 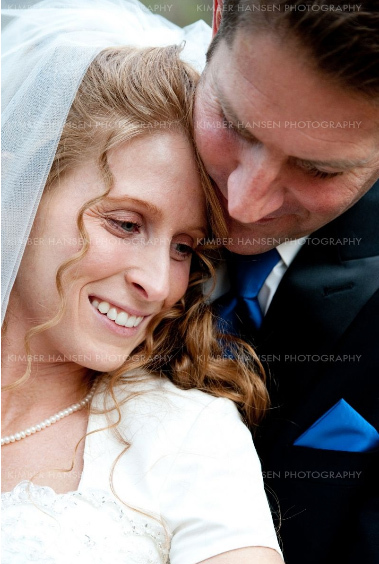 Kristina brought in a dress from David’s Bridal that was one of the most popular designs of the year. She had dreams of a dress that was way out of her price range and I redesigned the less expensive dress into the dress of her dreams! She wanted lots of fabric so I created a fun bubble hem at the bottom of the dress and ruched the sides of the original hem. It was a fun project! Click text to go to K.I.S.S blog! 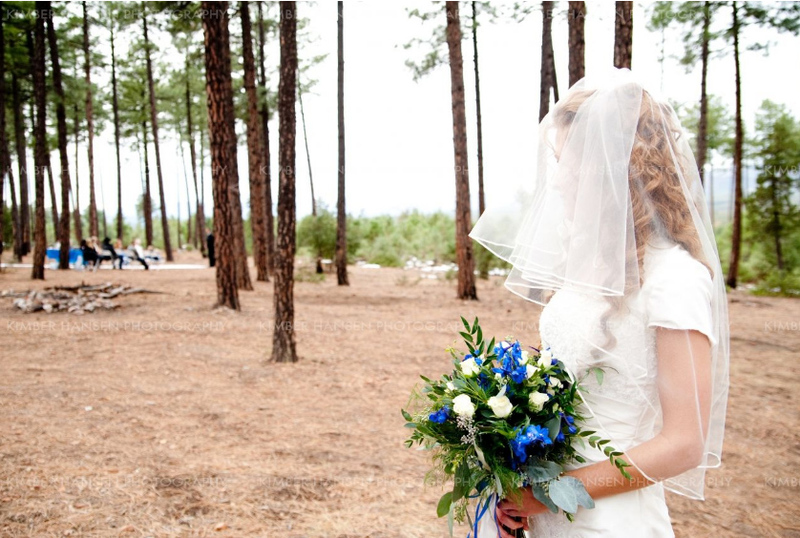 Anne’s Alterations dress featured on OneWed! Remember that 1950s themed wedding alteration? Katie and Jim’s wedding was featured on OneWed! 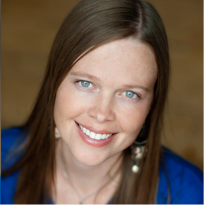 Check out the fabulous posting and Melissa Dunstan Photography’s great photos of the event! Also check out the fun vintage inspired table settings created by KD Event Designs. Don’t forget I also made those cute shoe clips and matching hair accessory! 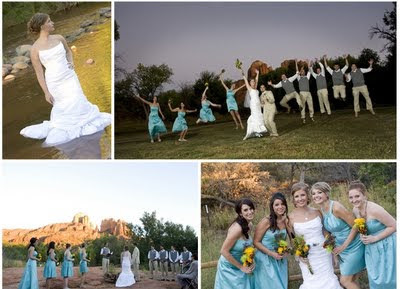 This was really a fun wedding to work on! Here are a few more photos of the 1950s wedding alteration! I created the bolero from a vintage pattern that I altered to create a more custom fit for the bride. Hopefully I will be able to post a few wedding photos by Melissa Dunstan Photography soon! Well, it has been awhile, which means I am busy! Wedding season is in full swing and I have been altering like crazy. Once of my favorite parts of altering wedding dresses is installing a bustle. 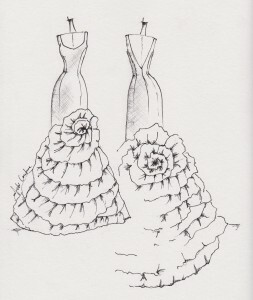 I create my own custom bustles that are individually tailored to each wedding dress and each fabric. 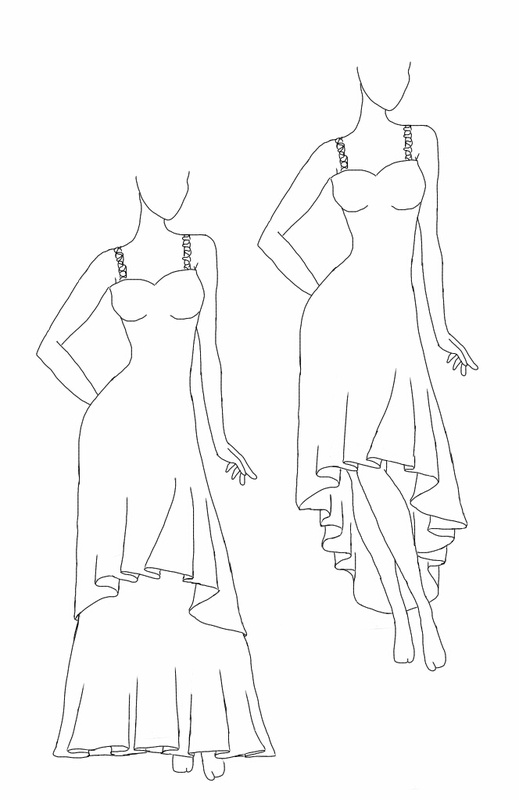 I spend a lot of time playing with ideas while the dress is on the dress form to make sure the drape is just right. 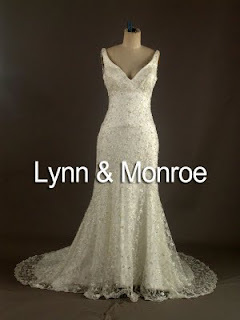 I have also had a few requests for custom dresses for fall and spring 2012 weddings! Here are a few of the dresses that I am going to help design and create! 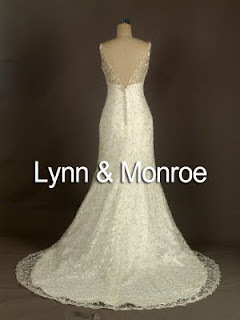 I love helping brides create the perfect dress for less than designer prices! It is so rewarding!